This post has tips for people who are going to run a table quiz, pub quiz or charity quiz-night. See How to get ready for a table quiz if you are going to participate in a quiz yourself, and want some tips about preparing for the night. I know, let's do a table-quiz! "How about we run a quiz night?" "You mean like a pub-quiz, but at our clubrooms? Sounds like fun, I'll write the questions"
"And I'll be the MC on the night"
"Cool - and we can get Joe to do the, ahh, other stuff, he's good at arranging things, he'll know what to do." "That works for me. Ok - see you then". If you wants to know about all the "other stuff" you need to do to run a successful table quiz, then you've come to the right place. A table or pub quiz can be great fun, or an excellent fund-raiser. But making this happen takes lot of panning, preparation and organisation. It's not difficult - but you need to follow up all sorts of details so that everyone has an enjoyable time. Read on to find out what's involved in running a quiz-night yourself - from understanding the goals, thru to selling tickets, banking the money and cleaning up afterwards. 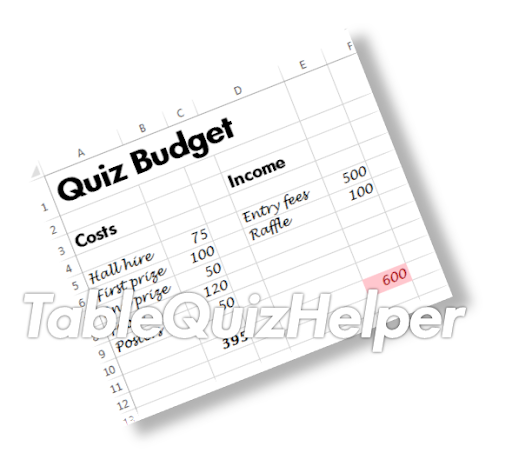 Note: Using a table-quiz preparation checklist may help to keep track of all the details of your quiz. The first step is to make sure you know why the quiz is being held, and what the goals / objectives are. Sometimes, it's simple: you want to raise funds, or to host a social event. But often it's more complicated: an answer like "our club always hold a pub quiz in September" might hide details like "to raise funds for our Christmas outing" or "to help the new members to meet everyone" or "remind people in the community about our club". Its always a good idea to ask the "Why are we doing this" a few times - changing the way you put the question each time, so people don't get annoyed. What location are you going to hold the quiz in? What day, which week, what time? Who will take part - quiz participants and helpers. These questions are related: The venue may only be available at some days / times. If you choose certain days / times, some people cannot come. Another location might be available, but you'll have to pay more for it, or have volunteers to serve refreshments. Etc. Often it's a juggling act finding the combination of people, place and time that will work best in achieving your goals. At this point, think about any licenses, permissions or insurance you may need to run the event: these may take some time to organize, so it's best to start early. If you have no idea what is involved, your local council is often a good place to start asking questions. 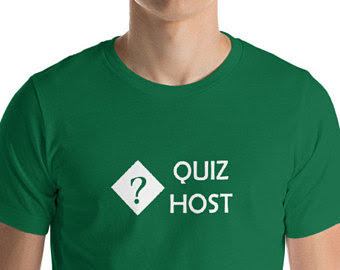 Once you have the basic details arranged, you need to start recruiting a team of helpers to run the quiz. A co-ordinator, organizer or project-manager: someone who will make sure the everything happens. If you're reading this article, then maybe that person is you. But if you're the club-chairman etc, it may be better to delegate the organisation to someone else, and you just provide help and oversight. A "few" willing people who will do whatever is needed (markers, runner, registrations, catering, etc) ot make the event successful. Then you can recruit other people to help while you're doing the rest of the preparation. Successful parties don't just happen: they need someone to think carefully about what is going to happen, when and how - and then to share the plan with everyone who needs to know. You need to make a detailed plan about what will happen, so that everyone knows what to do and whwen to do it. 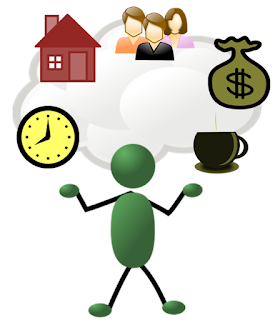 This article about what happens at a quiz gives a view of this from the participants point of view, but your plan needs to include the setting up and follow-up, too The quiz preparation checklist is usually very helpful with this, but you may also create a running-order for your team, which lists exactly what will happen when, and who will do it. It doesn't matter how much organizing you do: to make your quiz successful, you need people to attend. So you need to communicate the details to the people who you want to participate - and do it in a way that motivates them to take part. The details will vary widely, depending on your goals: a quiz for new members of a sports club won't need nearly as much promotion as a large scale charity fund-raiser. But you always need to think about who you want to attend, and how to get them there. A publicity plan (template available here) is useful for planning and tracking this. Often, it's easy to get someone to volunteer to write the quiz questions. They will need to know what your plan looks like (how many rounds of questions, how many questions in each round), as well as who you expect to attend. And you may need to follow up a few days or so beforehand: writing the first few questions is easy, doing the last few can be hard work. Also, you need to make sure you have blank answer sheets for each team, and sets of questions+answers for the markers to work from. Pre-numbered answer sheets may make things a little easier for participants. And of course if the question-writer and the quiz-master aren't the same person, you need to make sure that the questions, and their answers get to the quiz-master in plenty of time. Make a list of the items you need, and who you will get them from, how and when. Double check the day before, to be sure everything is still available, and will be delivered where/when they're needed. 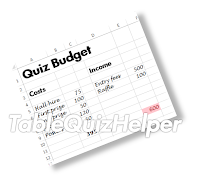 If you are running a quiz to as a fundraiser, then you need to be careful about how much you spend running the event. Even if you do all the organisation yourself, there are probably things you will need to pay for, like rent for the location, photocopying the answersheets, prizes for the winners, and some advertising. A plan of how much you are likely to spend of each item may be invaluable. Maybe you will need to buy prizes or refreshments beforehand - possibly before you know how many people will attend. This might be risky, so you might want to sell tickets so you know how many people will attend. Whether or not you sell tickets on the night, there will be some cash floating around. Someone needs to be responsible for collecting this, and keeping it safe. Some pub-quizes, the "prize" is a certain percentage of the entry fees. Others are purely for entertainment, and there are no prizes. But often, quiz-participants expect that there will be prize that are worth winning. So you need to look back to your objectives, and decide which approach is best for your quiz. And if necessary, you may need to go shopping for prizes or recruiting sponsorship for them..
Once your quiz-night is over, it's tempting to go home tired-but-happy. But if you're the organizer there is likely to be some follow up you need to do - anything from cleaning the hall and putting the chairs away, through to paying the invoices, producing the financial report and and official handover of the funds you raised. Find a suitable place and time, and people to take part, and people to help. Make any bookings. Get any permissions that you need. Plan in detail what will happen on the day/night. Do publicity so that people come along. Do a budget, make sure that it's followed, and the cash is looked after. Buy prizes or get sponsorship. Get a team of helpers together. Run the quiz, according to your plans. Clear up any final post-quiz details.